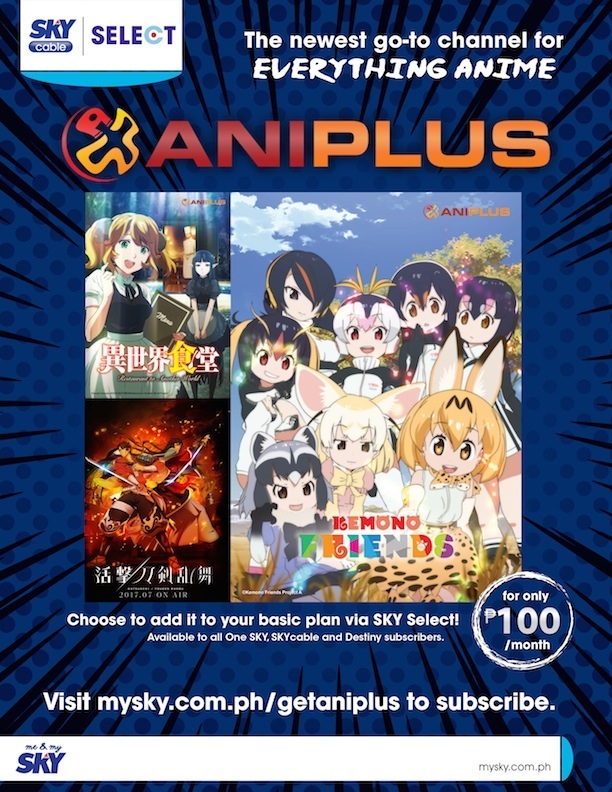 Anime fans looking for the latest and most popular shows from Japan can now subscribe to ANIPLUS Asia on SKY Select. The 24-hour entertainment channel features favorites such as the Samurai action series Katsugeki TOUKEN RANBU, or lighter sci-fi fantasy programs Restaurant to Another World and Kemono Friends. Other notable series to catch include Attack on Titan, Psycho-Pass and Kantai Collection. 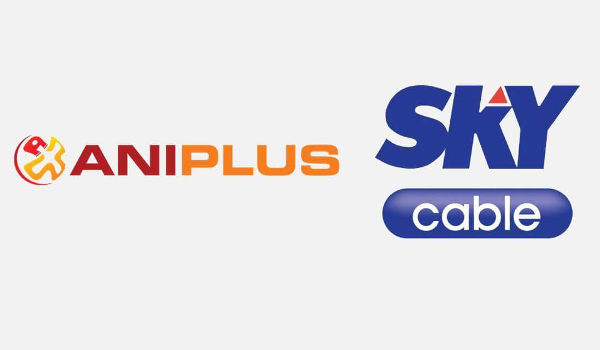 ANIPLUS Asia is available to subscribers of SKY with One SKY, SKYcable and Destiny digital subscribers in Metro Manila on channel 139. Get it on SKY Select for only P100/month. Visit mysky.com.ph/getaniplus for more information or call 418-0000 or your local SKY office.